Mumbai/New Delhi (IANS) With its fleet size further shrinking to 14 aircraft, debt-ridden Jet Airways on Thursday suspended long-haul West-bound flight departures for one night and invited government scrutiny over the airline’s regulatory compliance. The development came after the once premier airline was left with only 14 aircraft from around 120 last year, triggering speculations over its survival as a lengthy stake sale process continued. “Long-haul international departures have been called-off for one night. The situation is dynamic but majority of the current operations remain intact,” an airline official told IANS in Mumbai. 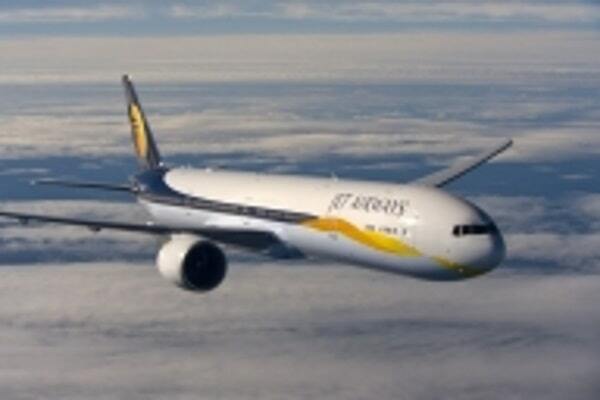 Jet said in a statement: “Jet Airways’ flight 9W 615 Mumbai to Kolkata and 9W 675 Kolkata to Guwahati of tomorrow April 12, 2019, has been cancelled due to operational reasons. Besides the employees, the airline’s aircraft lessors too are upset with the current financial situation, with some of them requesting the Directorate General of Civil Aviation (DGCA) to de-register their aircraft leased to the company. The de-registration request section on the DGCA’s website on Thursday showed that lessors have applied to de-register 14 aircraft owing to unpaid dues. However, some lessors have also withdrawn their de-registration request.